Established in 1981, the firm primarily represents individuals and small businesses requiring reliable expertise in Maryland. Areas of specialty include bankruptcy law, personal injury law, traffic and tax law and will & estate probates. Maryland Bankruptcy Attorney Since 1981, Terence Brian Garvey has represented thousands of clients in all phases of Chapter 7, Chapter 11 and Chapter 13 bankruptcy proceedings, from preparing the initial petition through plan formulation and confirmation. Mr. Garvey helps individuals stop pending foreclosure sales of their property by filing Chapter 13 cases for them or by negotiating repayment of their mortgage arrears with the lender. Mr. Garvey analyzes client's income and expenses to create a budget that will help them stop accumulating debt and help them climb out of debt Personal Injury Mr. Garvey also provides representation in personal injury cases, and works hard to obtain compensation for losses in a timely manner. Mr. Garvey handles wrongful death and personal injury claims for motor vehicle accidents, slip and fall accidents, and other injuries caused by another's negligence. Wills and Estate Probates & Planning Mr. Garvey also provides estate planning and probate services and will help clients develop wills that designate guardians for minor children and allow clients to choose the beneficiaries of their assets as well as settle estates. His also specializes in trusts, last wills & testaments and advanced directives Traffic Defense Services Mr. Garvey provides representation for people in many areas of traffic law. Major offenses such as DUI/DWI require the representation of an experienced and skilled lawyer familiar with Maryland traffic laws. He also handles minor offenses as speeding tickets, reckless driving and other charges. A good traffic attorney can help reduce or eliminate points or fines. The law office of Terence Brian Garvey will represent your bankruptcy legal matters. Law School: Potomac School of Law, J.D. Member: Montgomery County Bar Association; Maryland State Bar Association, Inc.; Virginia State Bar; State Bar of Georgia. Biography: Terence Brian Garvey graduated with a B.A. from Randolph-Macon College in 1975 and received a J.D. with Honor from the Potomac School of Law in 1979. 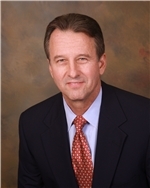 His practice areas include: Bankruptcy Law; Personal Injury Law; Traffic Law; Tax Law. Mr. Garvey has been awarded the highest possible rating for legal skill by the prestigious Martindale-Hubbell Law Directory. His achievements include being a biographee in Outstanding Young Men of America. He has also been listed in the Who's Who in American Law, Who's Who in Washington, and several other Who's Who publications. Positions Held: Acting Assistant U.S. Trustee U.S. Department of Justice, Rockville, MD; Special Liaison to Chief Judge Paul Mannes U.S. Bankruptcy Court, District of Maryland; Chapter 7 Panel Trustee. Delta Theta Phi. Member, Potomac Law Review. Agencies: Approved Special Counsel, Chicago Title Insurance Company, Rockville, Maryland.